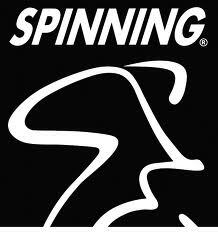 Ok, I’ve finally gotten into Spin Class, although yesterday was my first class since September 15th, but I did go on a mini-vacay and just couldn’t get back into the swing of things. I actually got up this past Saturdy morning for class and got to the gym and realized the Spin Natzi was teaching that day, so I politely turned around and hit the Elliptical instead! Now, here’s the deal with the Spin Natzi, I just don’t like her. She is a Spin bully! If she doesn’t think you have enough tension on your wheel, she calls you out. I witnessed a grown man, wipe his bike down and walk out of her class! She’s also not the nicest either. She tried to insinuate myself and another lady were late for class, when in actuality we were outside in the hallway waiting for the previous class to end, so she actually cut the class short. I was pissed and highly angered. Another time she canceled class because only two people showed up! Did I ever mention I was the only one to show up to a class and me and the Spin Instructor got it in?! She was like she was already there and hell, I had driven there too, so that was that! So, given that, I’ve decided that the Spin Natzi is the Instructor that I just don’t really care for at all. I had seriously contemplated just giving the class up because that’s how much I don’t care for her, but, I had a talk with myself and decided to continue attending her class because timewise, it’s the most convenient for me. And I get a really good workout in Spin class versus the Elliptical, although that is always my backup. Oh and just so you know, I just had this talk with myself yesterday and made it through her class. Until my next Spin Natzi Rant, Toodles! I exercise regularly. As a matter of fact, I believe I walked around 15 miles this past weekend; however…….just thinking about spinning makes me very very tired. Couldn’t do it in a million years.